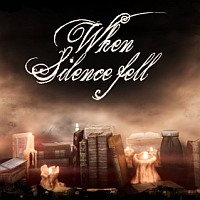 When Silence Fell is an episodic interactive story told during the Thirty Years' War, a production of Inkborne Tales studio. With the help of a logbook the player learns the fate of Sophie. Depending on the decisions taken, its history will turn out differently. When Silence Fell is an interactive story in which the player takes on the role of Sophie, a woman living during the Thirty Years' War. In the form of a diary, she describes what happened to her during the war. The whole was divided into three episodes. Inkborne Tales studio is responsible for the production. When Silence Fell takes place in the 17th century, exactly during the Thirty Years' War. The war is devastating more and more of Germany. The player takes on the role of a woman named Sophie. She keeps a diary in which she describes her fate. The essence of the game is to get to know its history and to make decisions on its behalf, which are important in terms of storytelling. When Silence Fell offers a very simple gameplay mechanics. As with other games in this genre, the player's task is only to make decisions that are relevant to the storyline. In this case, this is done via a logbook in which the whole story is described. Depending on the selected option, Sophie's story will be different. When Silence Fell is characterized by a minimalist graphic design. The whole gameplay consists only of a two-dimensional diary, with the help of which we can learn about the whole story.